Over the last six months, I’ve had the opportunity to learn about Serverless ecosystems in AWS from the standpoint of someone who is quite familiar with the Azure serverless ecosystem in Azure. I don’t feel that I’m a cloud novice, however at the same time switching context from something very familiar to a whole new model and context had me feeling like a complete novice very early on. In some ways, I was probably hindered more than someone who’s just learning cloud and AWS completely new. I was also trying to do things, subconsciously, the Azure way instead of just following how AWS intends for things to be done. Early on I created a spreadsheet that mapped out the equivalent component offerings between the two which was a good first step at not feeling so lost and frustrated. 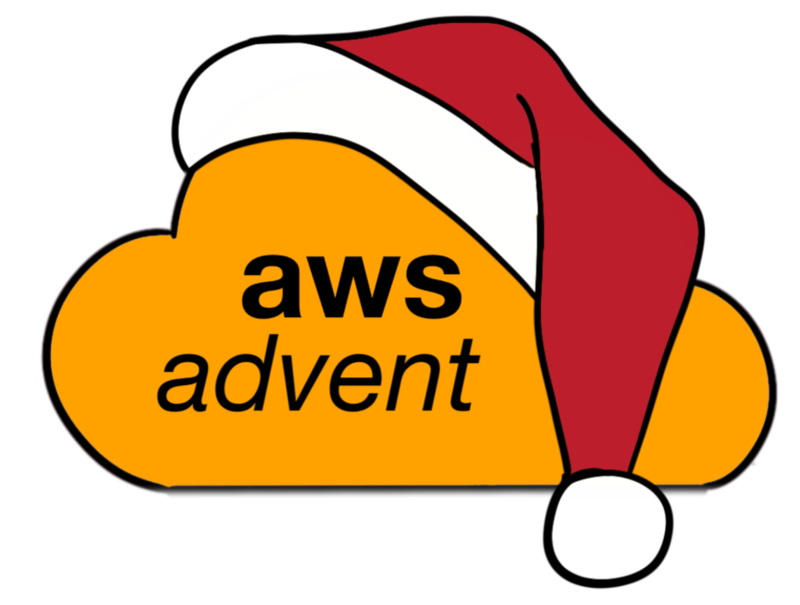 The purpose of this advent day is to not go into the pros or cons of AWS or Azure. The hope is to provide a bridge between the two for developers that might be migrating from one to the other or needing to skill up reasonably quickly. I initially did this with a spreadsheet and simple mapping (which got messy when I started looking into the networking…but you’ll see that later). For this article, I’ve opted to stay within my wheelhouse and serverless offerings. A lot of what I’ve learned about AWS and Azure was from my free time and non-work related to personal accounts. So, I’m going to highlight one of the most significant differences between the two cloud providers in how they handle their developer accounts. AWS has a “free tier” which offers the lowest performance offerings of most of their proprietary services for free use, within limits for one month. Sorry, no free Kubernetes clusters. I know some developers that create a new free tier account every month. Azure, on the other hand, offers every account $150.00 free usage per month indefinitely. Both Azure and AWS allow you to set up warning thresholds on cost and usage limits to help protect you from a runaway experiment. Two very different models for letting developers get hands-on experience with their cloud offerings. Amazon AWS and Microsoft Azure are two similar yet different beasts at the same time. I think it’s pretty much summed up, to me, in the differences between operating in a Windows world vs. a Unix world. AWS is very much you are in control of everything, and there’s a lot of configuration that can and does happen that you are in charge of from the onset. With Azure, you have similar controls, but they are mostly hidden and abstracted behind a UI. You can dive behind the scenes with Azure and have as fine-grained control as you do in AWS with direct Azure API calls, but it’s not the default experience and can sometimes take a frustrating amount of searching to find what is easy to find for AWS. This can be highlighted quite nicely by a basic comparison between the Azure Portal Dashboard vs. the AWS Management Console, the two entry points to the providers. In my opinion, the Azure Portal is the equivalent of a code editing IDE (like Eclipse or Visual Studio), and the AWS Management Console is text editor (like Vim or Atom). I bring up these basic differences between the two service providers because it’s these philosophies and mindsets that permeate this overview. You can do the same things in either operating system, they both work and it’s just that it’s different. In Azure, a lot of things are done for your “behind the scenes” and only available via API for manual configuration. In AWS, you are expected to wire up a lot of it yourself. In this article, I’ll try to bridge the gap and provide a quick and rough translation between the two for one workflow. The scope of this comparison is roughly around the domain of creating a hosted code API offering that would use an eventing model to trigger more hosted code to do some business logic on data and persist it in a relatively secure way. To do this, you need an external IP address for the API, a message system, some code to listen to that message system and a data store. You’ll also need to have a smattering of networking infrastructure to secure and front things (Internet Gateway, v-net, maybe sub-nets, resource groups, instrumentation, logging…etc.). This is in no way a comprehensive guide, but it should have the basics for you to have enough information to start asking harder questions of better-informed people. I’m really excited about hosted code in the form of Lambda and Function Apps. I’ve been using Function Apps since they were in Beta. I loved the concept. I started from a new project in Visual Studio to have a service that did something within 5 minutes. My service did something real to the database within 15 minutes. I will not lie, Lambda took me a lot longer. However, in the weekend I had devoted to playing with Lambda, I was able to create an Alexa skill for my partner to use and interact with at home… which is very different from having an API that does some serverless business logic. If you are creating a message based eventing model you need some way to send and receive events. AWS and Azure offer all sorts of offerings from proprietary offerings to common consumer options depending on how much you want to spend. As I’m experimenting on my own dime, I tend to go with free options and scale up once I have income coming in to spend. Azure offers the proprietary options Event Hub, Event Grid and Service Bus. AWS offers proprietary Simple Queue Service and Simple Notification Service. In the end, what type of eventing model you use will depend on a lot of different factors outside of the scope of this article. Suffice to say, either have offerings to do a simple, cheap prototype. Most applications need to store data. So, we need to be able to do some simple read and writing with serverless offerings. I picked the two most common types: SQL and a non-SQL option (a Document Database). Amazon has RDS for their SQL offering and DynamoDB as a document datastore. Obviously Azure has SQL Server and a lesser-known document database Azure Cosmos DB. For the uses that I had in mind, all four of them performed similarly. I really couldn’t tell them apart. The fantastic part is that that the three systems: hosted code, eventing, and data store are all serverless. You can now use code to create, setup, and connect your systems. That code can be stored in your version control and create your infrastructure at will whenever and wherever you want. The heart of a general event-based microservice pattern serverless implementation is to receive messages either through API or the event system, do something (get, save or manipulate data) and push another message. That’s the simple part; the nuances and complexity start when you consider hardening, monitoring and reporting from your system. As soon as I started looking at how to make my internal services invisible to the outside world, I started to see how fundamentally different AWS and Azure are. This continued as I layered on monitoring and reporting, too. Both services give you ways to do it that make sense. They provide different routes and building blocks to accomplish the same thing. This is a stark contrast to the data storage example, where it was pretty much a 1:1 Service to Service comparison. They both have offerings to make a robust and secure system that you can instrument well, it just starts to look very different. For example, AWS promotes using Amazon CloudFront that layers over an Amazon API Gateway that abstracts your AWS Lambda function. Note, the AWS section was a raw personal prototype and might not have passed security review and probably would require more layers of AWS services to meet the security requirements that the Azure implementation did. Whereas in Azure if you want to not make your HTTP publicly visible, you have to use a Network Virtual Appliance, V-Nets, Subnets, an API Management Service, and probably a few other things that I’ve forgotten since setting it up a few years ago. They both require User Management. Azure uses Active Directory whereas AWS uses Identity and Access Management. Both are similar functionally but slightly different in implementations and nuance. I want to stress that both allow you to do what you need to do, but how to accomplish this differs more between AWS and Azure because the foundational cloud philosophies and infrastructure are different. E.g., if you build your app the way Azure or AWS wants you to think, the implementation makes complete sense, and then the other service implementation looks a little wonky. All told there aren’t a lot of major differences between AWS Serverless and Azure Serverless offerings, based on my use cases. They are both great sets of offerings and offer a developer a great way to prototype something and possibly get feedback and value very quickly. There are absolutely differences between them that stem from their origins and design choices/philosophies. Sometimes those differences can be incredibly frustrating because you just want to do one simple thing that you could do in the other. AWS is the current industry standard, with the lion’s share of the market, and Azure has a significant presence too. As someone who lives in Seattle, equidistant from both Microsoft and Amazon campuses, it behooves me to know both providers; their strengths and their weaknesses. Over the last five years, it has also nice to see them both evolving and learning from each other. Steve Kuo is a speaker, mentor, and developer who is driven to raise awareness that writing code has a responsibility and is a craft locally to Seattle as well as at conventions. He is active in the in the Seattle Area facilitating CodeRetreats, running the Seattle and Eastside Code Crafter meetups, speaking about high-quality code techniques, talking about creating cultures of learning and sharing stories with other technology industry professionals. Let’s talk about the hottest thing in computers for the past few years. No, not Machine Learning. No, not Kubernetes. No, not big data. Fine, one of the hottest things in computers. Right, serverless! It’s still an emerging and quickly changing field, but I’d like to take some time to demonstrate how easy it is to make scalable and reliable multi-region APIs using just a few serverless tools and services. It’s actually deceptively simple. Well, for a “blog post”-level application, anyway. We’re going to be managing this application using the wonderful AWS Serverless Application Model (SAM) and SAM CLI. Far and away the easiest way I have ever used for creating and deploying serverless applications. And, in keeping with contemporary practices, it even has a cute little animal mascot. SAM is a feature of CloudFormation that provides a handful of short-hand resources that get expanded out to their equivalent long-hand CloudFormation resources upon ChangeSet calculation. You can also drop down into regular CloudFormation whenever you need to to manage resources and configurations not covered by SAM. The SAM CLI is a local CLI application for developing, testing, and deploying your SAM applications. It uses Docker under the hood to provide as close to a Lambda execution environment as possible and even allows you to run your APIs locally in an APIGateway-like environment. It’s pretty great, IMO. So if you’re following along, go ahead and install Docker and the SAM CLI and we can get started. Once that’s installed, let’s generate a sample application so we can see what it’s all about. If you’re following along on the terminal, you can run sam init -n hello-sam -r nodejs8.10 to generate a sample node app called hello-sam. You can also see the output in the hello-sam-1 folder in the linked repo if you aren’t at a terminal and just want to read along. The first thing to notice is the README.md that is full of a huge amount of information about the repo. For the sake of brevity, I’m going to leave learning the basics of SAM and the repo structure you’re looking at as a bit of an exercise for the reader. The README and linked documentation can tell you anything you need to know. The important thing to know is that hello_world/ contains the code and template.yaml contains a special SAM-flavored CloudFormation template that controls the application. Take some time to familiarize yourself with it if you want to. So what can SAM do, other than give us very short CFN templates? Well the SAM CLI can do a lot to help you in your local development process. Let’s try it out. $ cd hello_world/ $ npm install added 34 packages from 460 contributors and audited 44 packages in 1.192s found 0 vulnerabilities $ cd ..
Alright, now let’s have some fun. There are a few local invocation commands that I won’t cover here because we’re making an API. The real magic with the CLI is that you can run your API locally with sam local start-api. This will inspect your template, identify your API schema, start a local API Gateway, and mount your functions at the correct paths. It’s by no means a perfect replica of running in production, but it actually does a surprisingly great job. When we start the API, it will mount our function at /hello, following the path specified in the Events attribute of the resource. Now you can go ahead and curl against the advertised port and path to execute your function. 2018-11-28 10:12:16 No Content-Type given. Defaulting to 'application/json'. Want to try to deploy it? I guess we might as well – it’s easy enough. The only pre-requisite is that we need an S3 bucket for our uploaded code artifact. So go ahead and make that – call it whatever you like. Now, we’ll run a sam package. This will bundle up the code for all of your functions and upload it to S3. It’ll spit out a rendered “deployment template” that has the local CodeUris swapped out for S3 URLs. Successfully packaged artifacts and wrote output template to file deploy-template.yaml. If you check out deploy-template.yaml, you should see…very few remarkable differences. Maybe some of the properties have been re-ordered or blank lines removed. But the only real difference you should see is that the relative CodeUrl of CodeUri: hello_world/ for your function has been resolved to an S3 URL for deployment. Now let’s go ahead and deploy it! Nice work! Now that you know how SAM works, let’s make it do some real work for us. We’re planning on taking this multi-region by the end of this post. Deploying a multi-region application with no state or data is both easy and boring. Let’s do something interesting and add some data to our application. For the purposes of this post, let’s do something simple like storing a per-IP hit counter in DynamoDB. We’ll go through the steps below, but if you want to jump right to done, check out the hello-sam-2 folder in this repository. We can use environment variables to let our functions know what our table is named instead of hard-coding it in code. Let’s add an environment variable up in the Globals section. This ensures that any functions we may add in the future automatically have access to this as well. On each request, our function will read the requester’s IP from the event, increment a counter for that IP in the DynamoDB table, and return the total number of hits for that IP to the user. This’ll probably work in production, but we want to be diligent and test it because we’re responsible, right? Normally, I’d recommend you spin up a DynamoDB-local Docker container, but to keep things simple for the purposes of this post, let’s create a “local dev” table in our AWS account called HitsTableLocal. Now let’s give it a shot! Fire up the app with sam local start-api and let’s do some curls. Nice! Now let’s deploy it and try it out for real. Not bad. Not bad at all. Now let’s take this show on the road! Now we’ve got an application, and it even has data that our users expect to be present. Now let’s go multi-region! There are a couple of different features that will underpin our ability to do this. First is the API Gateway Regional Custom Domain. We need to use the same custom domain name in multiple regions, the edge-optimized custom domain won’t cut it for us since it uses CloudFront. The regional endpoint will work for us, though. Next, we’ll hook those regional endpoints up to Route53 Latency Records in order to do closest-region routing and automatic failover. Lastly, we need to way to synchronize our DynamoDB tables between our regions so we can keep those counters up-to-date. That’s where DynamoDB Global Tables come in to do their magic. This will keep identically-named tables in multiple regions in-sync with low latency and high accuracy. It uses DynamoDB Streams under the hood, and ‘last writer wins’ conflict resolution. Which probably isn’t perfect, but is good enough for most uses. We’ve got a lot to get through here. I’m going to try to keep this as short and as clear as possible. If you want to jump right to the code, you can find it in the hello-sam-3 directory of the repo. First things first, let’s add in our regional custom domain and map it to our API. Since we’re going to be using a custom domain name, we’ll need a Route53 Hosted Zone for a domain we control. I’m going to pass through the domain name and Hosted Zone Id via a CloudFormation parameter and use it below. When you deploy, you’ll need to supply your own values for these parameters. That !Ref ServerlessRestApi references the implicit API Gateway that is created as part of the AWS::Serverless::Function Event object. The AWS::Route53::Record resource creates a DNS record and assigns it to a specific AWS region. When your users query for your record, they will get the value for the region closest to them. This record also has a AWS::Route53::HealthCheck attached to it. This healthcheck will check your regional endpoint every 30 seconds. If your regional endpoint has gone down, Route53 will stop considering that record when a user queries for your domain name. The last piece, we, unfortunately, can’t control directly with CloudFormation; we’ll need to use regular AWS CLI commands. Since Global Tables span regions, it kind of makes sense. But before we can hook up the Global Table, each table needs to exist already. Through the magic of Bash scripts, we can deploy to all of our regions and create the Global Table all in one go! # Activate our Global Table! For a more idempotent (but more verbose) version of this script, check out hello-sam-3/deploy.sh. Note: if you’ve never provisioned an ACM Certificate for your domain before, you may need to check your CloudFormation output for the validation CNAMEs. And…that’s all there is to it. You have your multi-region app! Now let’s wait a minute for it to fail over and give it another shot. Amazing. Your users will now automatically get routed to not just the nearest region, but the nearest healthy region. And all of the data is automatically replicated between all active regions with very low latency. This grants you a huge amount of redundancy, availability, and resilience to service, network, regional, or application failures. Now not only can your app scale effortlessly through the use of serverless technologies, it can failover automatically so you don’t have to wake up in the middle of the night and find there’s nothing you can do because there’s a network issue that is out of your control – change your region and route around it. SAM has configurations for safe and reliable deployment and rollback using CodeDeploy! AWS built-in tools for serverless monitoring are lackluster at best, you may wish to look into external services like Dashbird or Thundra once you hit production. ServerlessByDesign is a really great web app that allows you to drag, drop, and connect various serverless components to visually design and architect your application. When you’re done, you can export it to a working SAM or Serverless repository! Norm recently joined Chewy.com as a Cloud Engineer to help them start on their Cloud transformation. Previously, he ran the Cloud Engineering team at Cimpress. Find him on twitter @nromdotcom. Serverless doesn’t mean that your code is not running on a server. Rather, it means that you don’t have to worry about what server it’s running on, whether that server has adequate resources to run your code, or if you have to add or remove servers to properly scale your implementation. In addition to abstracting away the specifics of infrastructure, serverless lets you pay only for the time your code is explicitly running (in 100ms increments). However, as of November 29th, AWS announced that it’s now possible to use the Runtime API to add any language to that list. Adapters for Erlang, Elixir, Cobol, N|Solid, and PHP are currently in development as of this writing. The Free Tier (which does not expire after the 12-month window of some other free tiers) allows up to 1 million requests per month, with the price increasing to $0.20 per million requests thereafter. The free tier also includes 400,000 GB-seconds of compute time. The rate at which this compute time will be used up depends on how much memory you allocate to your Lambda function on its creation. Any way you look at it, many workflows can operate in the free tier for the entire life of the application, which makes this a very attractive option to add capacity and remove bottlenecks in existing software, as well as quickly spin up new offerings. What does a Lambda workflow look like? Using the various triggers that AWS provides, Lambda offers the promise of never having to provision a server again. This promise, while technically possible, is only fulfilled for various workflows and with complex stringing together of various services. However, if you have an existing application and don’t want to rebuild your entire infrastructure on AWS services, can you still integrate serverless into your infrastructure? At its most simple implementation, AWS Lambda functions can be the compute behind a single API endpoint. This means rather than dealing with the complex dependency graph we see above; existing code can be abstracted into Lambda functions behind an API endpoint, which can be called in your existing code. This approach allows you to take codepaths that are currently bottlenecks and put them on infrastructure that can run in parallel as well as scale infinitely. Creating an entire serverless infrastructure can seem daunting. Instead of exploring how you can create an entire serverless infrastructure all at once, we will look at how to eliminate bottlenecks in an existing application using the power that serverless provides. In our hypothetical application, users can set up alerts to receive emails when a certain combination of API responses all return true. These various APIs are queried hourly to determine whether alerts need to be sent out. This application is built as a traditional monolithic application, with all the logic and execution happening on a single server. Important to note is that the application itself doesn’t care about the results of the alerts. It simply needs to dispatch them, and if the various API responses match the specified conditions, the user needs to get an email alert. In this case, as we add more alerts, processing the entire collection of alerts starts to take more and more time. Eventually, we will reach a point where the checking of all the alerts will overrun into the next hour, thus ensuring the application is perpetually behind in checking a user’s alerts. This is a prime example of a piece of functionality that can be moved to a serverless function, because the application doesn’t care about the result of the serverless function, we can dispatch all of our alert calls asynchronously and take advantage of the auto-scaling and parallelization of AWS Lambda to ensure all of our events are processed in a fraction of the time. Refactoring the checking of alerts into a Lambda function takes this bottleneck out of our codebase and turns it into an API call. However, there are now a few caveats that we have to resolve if we want to run this as efficiently as possible. If you’re building this application in a language or library that’s synchronous by default, turning these checks into API calls will just result in API calls each waiting for the previous to finish. While it’s possible you’ll receive a speed boost because your Lambda function is set up to be more powerful than your existing server, you’ll eventually run into a similar problem as we had before. As we’ve already discussed, all our application needs to care about is that the call was received by API Gateway and Lambda, not whether it finished or what the result of the alert was. This means, if we can get API Gateway to return as soon as it receives the request from our application, we can run through all these requests in our application much more quickly. To support asynchronous invocation of the Lambda function, you must explicitly add the X-Amz-Invocation-Type:Event header to the integration request. This will make the loop in our application that dispatches the requests run much faster and allow our alert checks to be parallelized as much as possible. Now that your application is no longer responsible for ensuring these API calls complete successfully, failing APIs will no longer trigger any monitoring you have in place. Out of the box, Lambda supports Cloudwatch monitoring where you can check if there were any errors in the function execution. You can also set up Cloudwatch to monitor API Gateway as well. If the existing metrics don’t fit your needs, you can always set up custom metrics in Cloudwatch to ensure you’re monitoring everything that makes sense for your application. By integrating Cloudwatch into your existing monitoring solution, you can ensure your serverless functions are firing properly and always available. One of the most significant barriers to entry for serverless has traditionally been the lack of tools for local development and the fact that the infrastructure environment is a bit of a black box. Luckily, AWS has built SAM (Serverless Application Model) CLI, which can be run locally inside Docker to give you a simulated serverless environment. Once you get the project installed and API Gateway running locally, you can hit the API endpoint from your application and see how your serverless function performs. This allows you to test your new function’s integration with your application and iron out any bugs before you go through the process of setting up API Gateway on AWS and deploying your function. Once you go through the process of creating a serverless function and getting it up and running, you’ll see just how quickly you can remove bottlenecks from your existing application by leaning on AWS infrastructure. Serverless isn’t something you have to adopt across your entire stack or adopt all at once. By shifting to a serverless application model piece by piece, you can avoid overcomplicating your workflow while still taking advantage of everything this exciting new technology has to offer. Keanan Koppenhaver @kkoppenhaver, is CTO at Alpha Particle, a digital consultancy that helps plan and execute digital projects that serve anywhere from a few users a month to a few million. He enjoys helping clients build out their developer teams, modernize legacy tech stacks, and better position themselves as technology continues to move forward. He believes that more technology isn’t always the answer, but when it is, it’s important to get it right. Update: Since AWS recently released CodeBuild, things got much simpler. Please also read my follow-up post AWS CodeBuild: The missing link for deployment pipelines in AWS. Infrastructure as Code is the new default: With tools like Ansible, Terraform, CloudFormation, and others it is getting more and more common. A multitude of services and tools can be orchestrated with code. The main advantages of automation are reproducibility, fewer human errors, and exact documentation of the steps involved. With infrastructure expressed as code, it’s not a stretch to also want to codify deployment pipelines. Luckily, AWS has it’s own service for that named CodePipeline, which in turn can be fully codified and automated by CloudFormation (“Pipelines as Code”). Fully serverless: neither the pipeline nor the app itself involves server, VM or container setup/management (and yes, there are still servers, just not managed by us). Demonstrate a fully automated deployment pipeline blueprint with AWS CodePipeline for a serverless app consisting of a sample backend powered by the Serverless framework and a sample frontend powered by “create-react-app”. Provide a one-button quick start for creating deployment pipelines for serverless apps within minutes. Nothing should be run from a developer machine, not even an “inception script”. Show that it is possible to lower complexity by leveraging AWS components so you don’t need to configure/click third party providers (e.g. TravisCi/CircleCi) as pipeline steps. a frontend/ folder with a package.json which will produce a build into build/ when npm run build is called by the pipeline. a backend/ folder with a serverless.yml. The pipeline will call the serverless deploy (the Serverless framework). It should have at least one http event so that the Serverless framework creates a service endpoint which can then be used in the frontend to call the APIs. For a start, you can just clone or copy the sample project into your own GitHub account. As soon as you have your project ready, we can continue to create a deployment pipeline with CloudFormation. First you need to specify the GitHub Owner/Repository of the project (the one you copied earlier), a branch (usually master) and a GitHub Oauth Token as described in the CodePipeline documentation. The next step of the CloudFormation stack setup allows you to specify advanced settings like tags, notifications and so on. We can leave as-is as well. An S3 Bucket containing the website assets with website hosting enabled. Checks out the source code from GitHub and saves it as an artifact. Back end deployment: A Lambda function build step which takes the source artifact, installs and calls the Serverless framework. (Update: in the meantime, I replaced the Lambda functions with AWS CodeBuild). No servers harmed so far, and also no workstations: No error-prone installation steps in READMEs to be followed, no curl | sudo bash or other awkward setup instructions. Also no hardcoded AWS access key pairs anywhere! A platform team in an organization could provide several of these types of templates for particular use cases, then development teams could get going just by clicking the link. the back end CloudFormation stack has been created by the Serverless framework, depending on what you defined in the backend/serverless.yml configuration file. the front end has been built and put into the website bucket. Voila! We are up and running! As might have seen in the picture above, there is some JSON output: It’s actually the result of a HTTP call the front end made against the back end: the hello function, which just responds the Lambda event object. With the serverless pipeline and serverless project running, change something in your project, commit it and view the change propagated through the pipeline! I want to setup my own S3 bucket with my own CloudFormation templates/blueprints! In case that you don’t trust me as a template provider, or you want to change the one-button CloudFormation template, you can of course host your own S3 bucket. The scope of doing that is beyond this article but you can start by looking at my CloudFormation template repo. I want to have testing/staging in the pipeline! The sample pipeline does not have any testing or staging steps. You can add more steps to the pipeline, e.g. another Lambda step, which calls e.g. npm test on your source code. I need a database/cache/whatever for my app! No problem, just add additional resources to the serverless.yml configuration file. In this blog post I demonstrated a CloudFormation template which bootstraps a serverless deployment pipeline with AWS CodePipeline. This enables rapid application development and deployment, as development teams can use the template in a “one-button” fashion for their projects. We have deployed a sample project with a deployment pipeline with a front and back end. AWS gives us all the lego bricks we need to create such pipelines in an automated, codified and (almost) maintenance-free way. All deployment steps currently run with full access roles (AdministratorAccess) which is a bad practice but it was not the focus of this article. The website could also be backed by a CloudFront CDN with HTTPS and a custom domain. The CloudFormation stack created by the Serverless framework is currently suffixed with “dev”, because that’s their default environment. The prefix should be omitted or made configurable. Special thanks goes to the folks at Stelligent. First for their open source work on serverless deploy pipelines with Lambda, especially the “dromedary-serverless” project. I adapted much from the Lambda code. Second for their “one-button” concept which influenced this article a lot. Along with 18 years of web software development and web operations experience, Soenke Ruempler is an expert in AWS technologies (6 years in experience of development and operating), and in moving on-premise/legacy systems to the Cloud without service interruptions. His special interests and fields of knowledge are Cloud/AWS, Serverless architectures, Systems Thinking, Toyota Kata (Kaizen), Lean Software Development and Operations, High Performance/Reliability Organizations, Chaos Engineering. You can find him on Twitter, Github and occasionally blogging on ruempler.eu. Ryan Brown is a Sr. Software Engineer at Ansible (by Red Hat) and contributor to the Serverless Framework. He’s all about using the best tool for the job, and finds simplicity and automation are a winning combo for running in AWS. Side projects are my way of learning new technology. One that I’ve been anxious to try is AWS Lambda. In this article, I will focus on the things that make Lambda a great service in my opinion. For the uninitiated, Lambda is a service that allows you to essentially upload a function and AWS will make sure the hardware is there to run it. You pay for the compute time in hundred millisecond increments instead of by the hour, and you can run as many copies of your lambda function as needed. You can think of Lambda as a natural extension to containers. Containers (like Docker) allow you to easily deploy multiple workloads to a fleet of servers. You no longer deploy to a server, you deploy to the fleet and if there is enough room in the fleet your container runs. Lambda takes this one step further by abstracting away the management of the underlying server fleet and containerization. You just upload code, AWS containerizes it and puts it on their fleet. Why did I choose Lambda? My latest side project is SmartScribe, an automated transcription service. SmartScribe transcribes hours of audio in minutes, a feat which requires considerable memory and parallel processing of audio. While a fleet of containers could get the job done, I didn’t want to manage a fleet, integrate it with other services nor did I want to pay for my peak capacity when my baseline usage was far lower. Lambda abstracts away these issues, which made it a very satisfying choice. I love to invest my time in side projects, I get to create and learn. Perhaps irrationally, I don’t like to put a lot of money into them from the get go. When I start building a project I want it up all the time so that I can show it around. On the other hand I know that 98% of the time, my resources will not be used. As I mentioned, I like to invest my time in side projects but I don’t like to invest it in maintaining or configuring infrastructure. A thousand little things can go wrong on your server and any one of those will bring your product to a halt. I’m more than happy to never think about another server again. Worrying about disk space. My processes write to the disk. Were I to use a traditional architecture I’d have to worry about multiple concurrent processes consuming the entire disk, a subtle and aggravating bug. With lambda, each function invocation is guaranteed a (small) chunk of tmp space which reduces my concern. Running out of memory. This is a fine point because a single lambda function can only use 1.5 G of memory. Applications that hold large data sets in memory might not benefit from Lambda. Applications that hold small to medium sized data sets in memory are prime candidates. 512MB of provisioned tmp space is a major bottleneck to writing larger files to disk. Smart Scribe works with fairly large media files and we need to store them in memory with overhead. Even a few concurrent users can easily lead to problems with available memory – even with a swap file (and we hate configuring servers so we don’t want one). Lambda guarantees that every call to my endpoints will receive the requisite amount of memory. That’s priceless. Apex is smart enough to only deploy the functions that have changed. And in that one line, my changes and only them reach every “server” I have. Compare that to the time it takes to do a blue green deployment or, heaven forbid, sshing into your server and pulling the latest changes. But wait, there is more. Pardon last year’s buzzword, but AWS Lambda induces or at least encourages a microservice architecture. Since each function exists as its own unit, testing becomes much easier and more isolated which saves loads of time. What makes microservices hard is the overhead of orchestration and communications between all of the services in your system. What makes Lambda so convenient is that it integrates with other AWS services, abstracting away that overhead. Having AWS invoke my functions based on an event in S3 or SNS means that I don’t have to create some channel of communication between these services, nor monitor that channel. I think that this fact is what makes Lambda so convenient, the overhead you pay for a scalable, maintainable and simple code base is virtually nullified. One of the deep axioms of the world is “Good, Fast, Cheap : Choose two”. AWS Lambda takes a stab at challenging that axiom. Jyrki Puttonen is Chief Solutions Executive at Symbio Finland (@SymbioFinland) who tries to keep on track what happens in cloud. that AWS is pretty rad for some some things.